With so much to reflect upon after the MTNA conference, I think my best bet is just to go backwards! 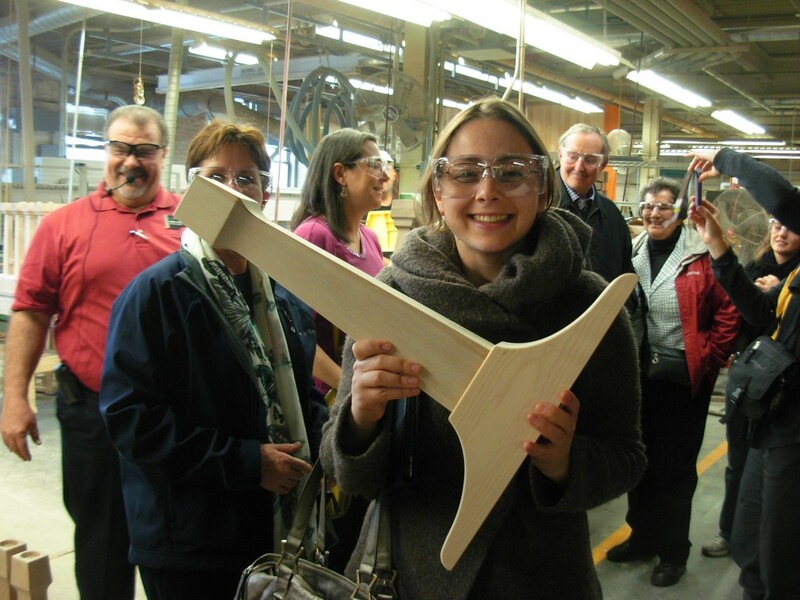 In this case, it is kind of like starting a meal with dessert…The Steinway Factory Tour! I had been looking forward to this part of the trip with barely contained excitement, and after some delayed-subway drama that resulted in me attempting to run 6 blocks and just barely making the bus, the day did not disappoint. The early morning group was small, and our “guide” was John Marek, Manager in Charge of Fabrication. Saying that this was an “inside look” barely begins to describe it. John spent over 90 minutes taking us through the factory, in and amongst the workers going about their daily production. 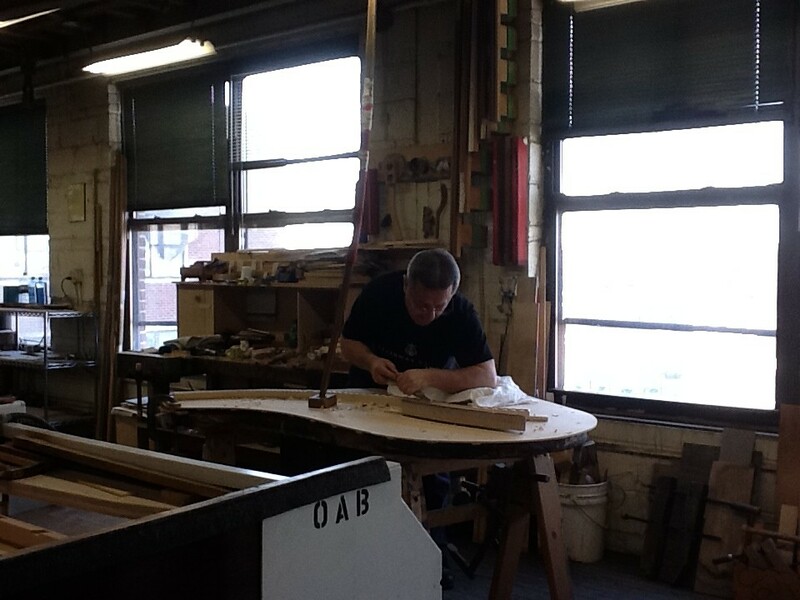 I came away with a head full of facts and statistics, but even more so, a sense of awe at the time, care, detail and craftsmanship that goes into the creation of a Steinway piano. 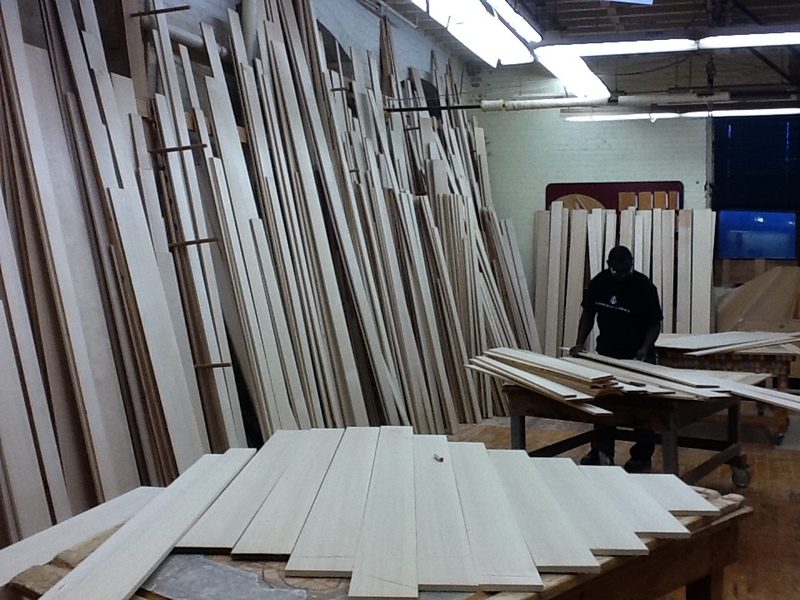 The factory currently produces about 5 grands and 1 upright a day. 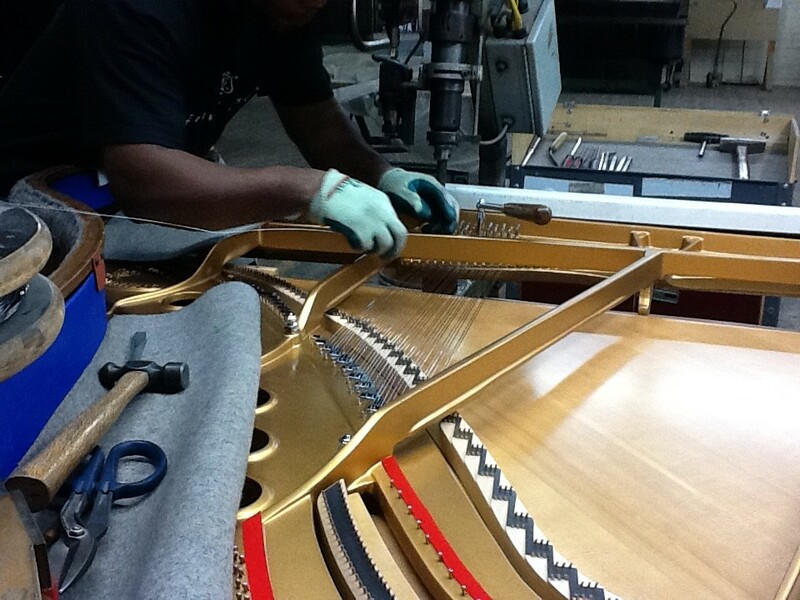 Not unlike a baby, the process of building a single piano takes about 9 months. Here are a few snapshots! our guide was not as interested in this part, but we sure were! 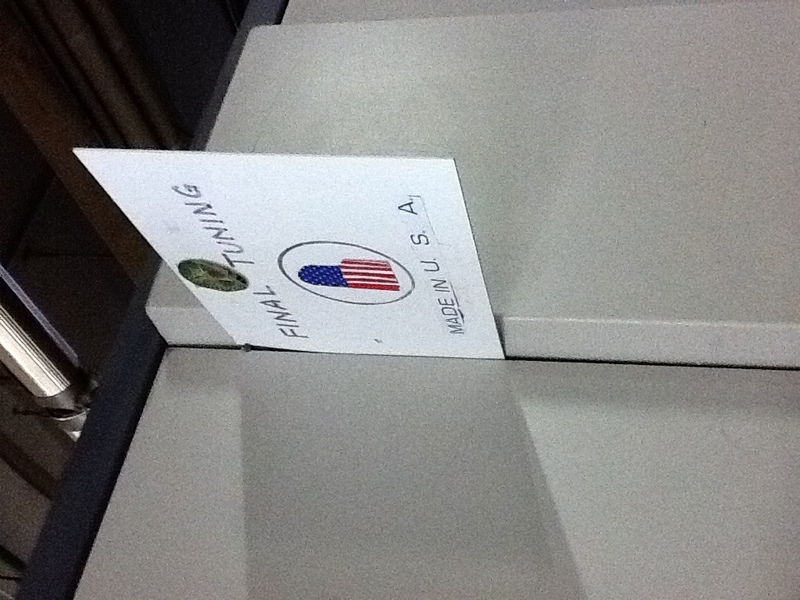 In light of all the economic doom and gloom of the last several years, it made me feel rather warm and fuzzy to see the very blue-collar inner workings of the Steinway company (an American company through and through– this was mentioned many times during the tour!) 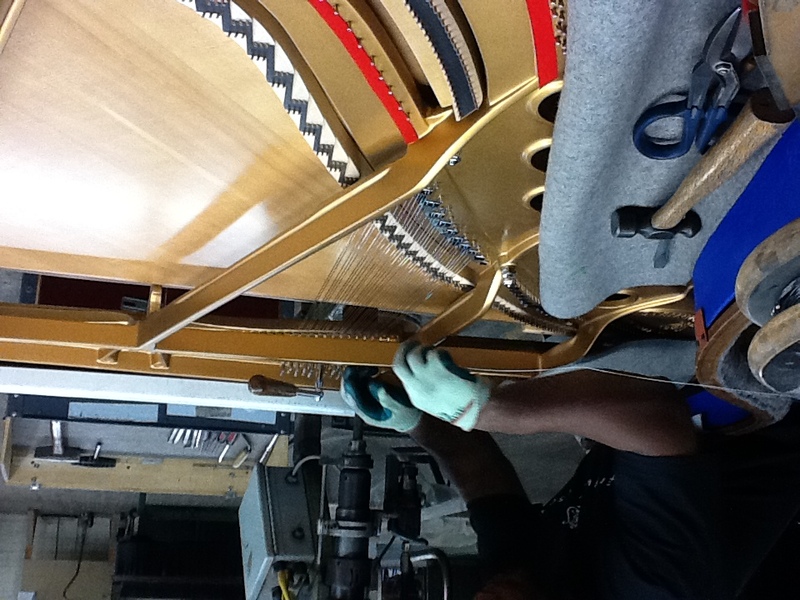 Most of the materials are sourced within the US (wood mostly from the Northwest, wool for the felts from New Hampshire sheep, strings made by a company in Kentucky) and many of the highly skilled workers come from several generations of Steinway builders (and are members of United Piano Workers Local 102). 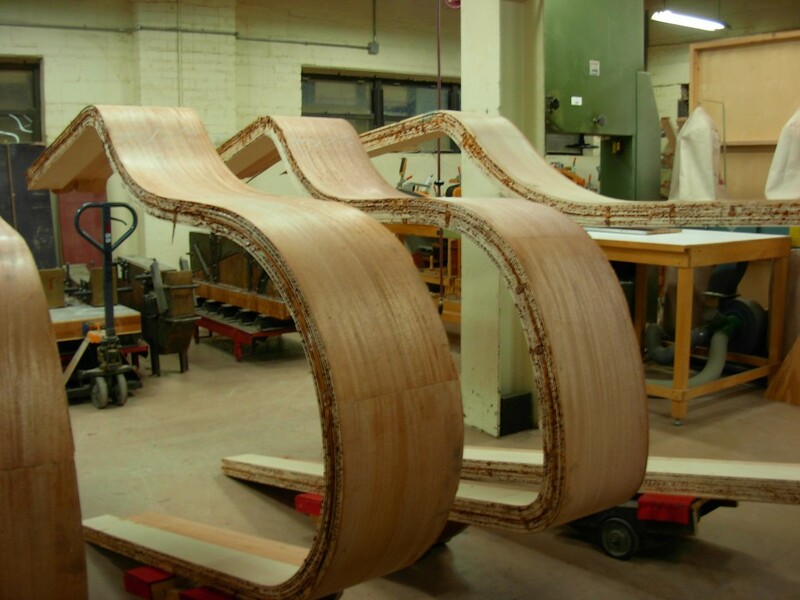 If New York is not on your upcoming itinerary, the marvels of the Steinway factory can be experienced through the 2007 documentary Note by Note: The Making of Steinway L1037. I saw the movie back when it came out, and the DVD was one of the several souvenirs I came away with from New York. I’m excited to finally own a copy so that I can lend it to all my piano students! 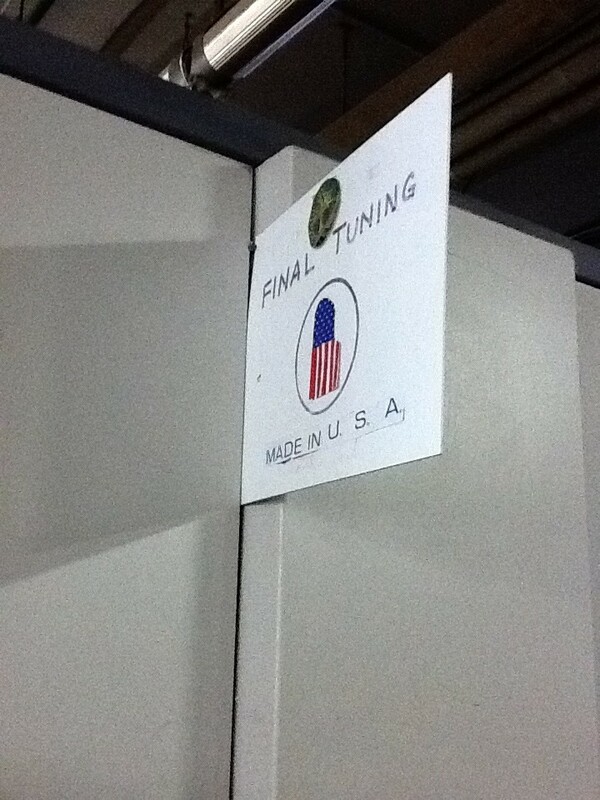 This entry was posted in pianos and tagged piano, steinway, tour. Bookmark the permalink.